Please join us for a brainstorming session to discuss new ideas for the future of the Harvard Club of Miami. Light appetizers and cocktails will be served. The event is free for current dues-paying Harvard Club of Miami members. RSVP by August 1st is required. We look forward to seeing you there! 901 south Miami Ave (corner on SW 10th Street and SW 1st Ave) at $2.00 per hour. Parking at 701 Brickell is $15.00 for two hours; $19 for 3 hours. 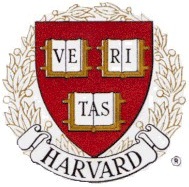 If you have any questions, you may contact us at (305) 819-8383 or admin@harvardmiami.org.